Kyoto University welcomes students from all over the world who aspire to learn, and to foster their interest in taking an active part in international society. Kyoto University is proud of its efforts to create a safe and pleasant campus in which students can concentrate on their studies free from care. 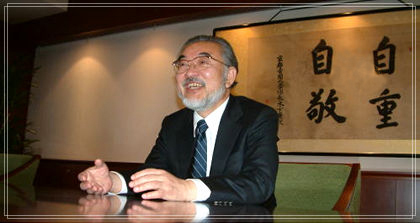 Founded in 1897, Kyoto University has deeply considered its traditions of liberal and academic freedom, educating many. We continue to actively maintain these principles, which are the foundation of academic freedom. Kyoto University places top priority on basic research, develops advanced technology leading to the acquisition of intellectual property, and then returns this knowledge to society through education, social cooperation, and the opportunity for lifelong education. In the 21st century, people stand at the crossroads of survival in a changing natural environment. Kyoto University understands this struggle as it grapples with the problems of education in man's future. Kyoto University has 3 campuses nestled in the basin which forms the main part of Kyoto, a city rich in tradition and culture, of which Kyoto University is a part. We are always pleased to hear from you, and if you have any suggestions or questions regarding Kyoto University, please do not hesitate to contact us.